Mo'orea is a South Pacific island, part of French Polynesia's Society Islands archipelago. It's known for its jagged volcanic mountains and sandy beaches. In the north, Mount Rotui overlooks picturesque Ōpūnohu Bay and the settlements around Cook's Bay. 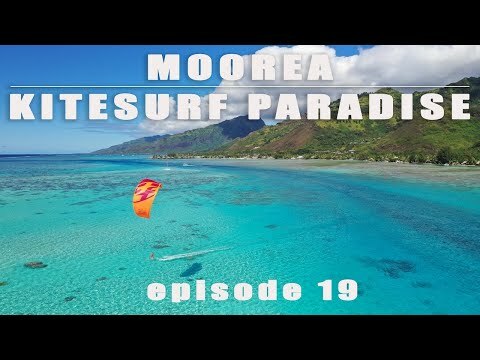 Charlotte Consorti and Bruno Dubosq show us a new kitesurf paradise: Moorea, located just 30 minutes by ferry from Tahiti. Watch them discovering this beautiful island!